A short and interesting story about a boy and his pet plus some exercises on irregular verbs from the story..
A nice song to listen to and to work on while revising the Past Simple tense. 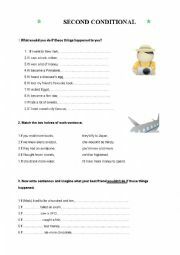 A worm-up activity to do in class before the lesson. 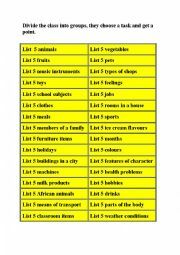 Students choose a task and get a point if they answer correctly. They can be divided into groups. Enjoy! 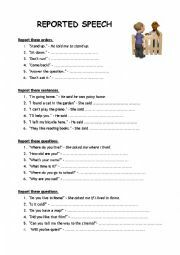 Some exercises on reproted speech, reporting sentences in present and past, orders, questions. 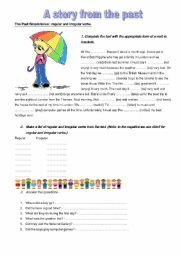 Students have to complete the text with the missing words, answer some questions and do the vocabulary exercise. 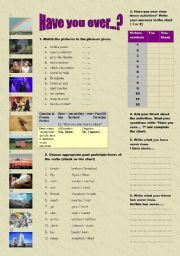 This is a quite easy exercise introducing basic vocabulary connected with animals and parts of their body. 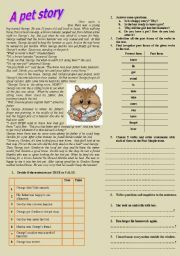 A student has to fill in the missing parts of the four texts just to find out how to describe animals proprely. Some exercises to practice the second conditional, completing sentences.